Telling a candidate they have received an offer for their “Dream Job” is definitely one of the best conversations you have working in Recruitment. Unfortunately there are some occasions when within a matter of days the candidate that was previously shouting from the rooftops with delight about their offer has suddenly decided to stay in their current role. The role that just a few days ago they were desperate to leave. There are a number of reasons for this but the end result is the same. So what do a counter offer and an ex-partner have in common and why can they both be so appealing? You have fond memories together. If you have been with your employer / ex-partner for a while you will (probably) have some fond memories together! The thought of making more can always be appealing and seem like the easy option. You don’t need to prove yourself to someone new. If you have been counter offered or are in a situation to get back with your ex you clearly have a strong connection with them. Why would you go somewhere completely new and have to start all over again. It’s not you, it’s me. Nobody likes breaking up. You can’t help feeling you are letting someone down. Unless you are a traffic warden you will most likely have formed friendships with your colleagues, customers, suppliers etc as in most cases you see or speak to these people day in and day out. You probably see them more than your wife / husband / dog. and who really hasn’t felt a tinge of disappointment knowing that you are saying goodbye for the final time to people you have worked with for years. It wasn’t really that bad. “It was an amicable breakup” Do me a favour. Jobs, like relationships don’t always have to end on bad terms, it can sometimes just be time to move on. But these are often the hardest to leave as there’s no specific reason for moving on. 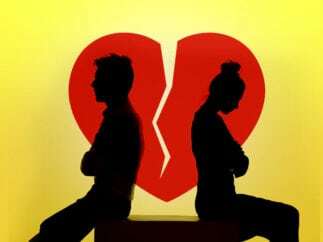 So we have established that rejecting a counter offer / the advances of your super hot ex can be difficult but why should we move on and look for bigger and better things? Remember why you looked to leave! It is very easy to remember the good times and not the bad, but initially there were some key reasons why you looked to leave, they could be anything from lack of progression or support or in some cases an ogre of a boss. It is easier (and definitely cheaper) to keep you! In most cases employers will counter offer you because in the long run it is cheaper and more convenient then letting you leave. The reason being that they don’t have to pay someone like me to find your replacement as well as not having your role vacant for a period of time and then the time / cost of training the new person. New isn’t always Scary! In my last Blog I talked about making sure you weigh up all of the opportunities available to you before making a decision and that message very much rings true here as well! Why accept a counter offer when a new and exciting opportunity is waiting around the corner? It could be the perfect marriage. It’s too late to buy me jewellery. You should not need to resign from work in order to be given the promotion or pay rise that you had wanted. It’s too little too late. You’ve been caught cheating. This is potentially a very big issue. Will your current employer truly trust you with any big decisions now that you have shown you intended to leave? Your bags were packed, your Dear John letter was on the kitchen table. You were going and now you’ve changed your mind. Will you have your head turned again? So whilst being counter offered can be great, and is definitely very flattering, the reality is that most of the underlying issues that were there before, are most probably still going to be there. Your boss will still not put the lid on the toothpaste. So make sure you consider this when you decide between a new and exciting opportunity and one that is trying to do its best to make you stay – possibly for the wrong reasons. Please note that we offer Recruitment Services and I am in no way qualified to advise you on your personal relationships.